Germany face off against fellow European nation Russia in a high-profile friendly encounter at the Red Bull Arena in Leipzig on Thursday night. European heavyweights Germany will be looking to get back to winning ways, when they host Stanislav Cherchesov’s Russia in an international friendly in Leipzig on Thursday night. Joachim Low’s side have been on a steep downslide since the summer’s 2018 FIFA World Cup. Having exited the tournament in Russia at the group stage itself, Die Mannschaft have struggled for form ever since, winning just one of their four matches over the last two international breaks (D1 L2). Germany were condemned to back-to-back defeats at the hands of Netherlands and France in their UEFA Nations League assignments last month. With an all important, must-win fixture against the Dutch national team coming up next week, Low will be hoping that his team build up some steam with a victory on Thursday. Russia, on the other hand, have continued to make huge strides after their surprise quarter-final run at the World Cup. Since their penalty shootout exit against Croatia in the summer extravaganza, Stanislav Cherchesov’s men are unbeaten in their four fixtures, winning three of those. During the last international break, the Sbornaya were held to a goalless draw by Sweden in the UEFA Nations League, before they defeated Turkey 2-0. They will be aiming to extend their solid run and make a statement with a victory against the Germans in Leipzig this week. Marc-Andre ter Stegen and Jerome Boateng have been excluded from the squad by manager Low, in order to give the pair some rest. Midfield mainstay Toni Kroos will also be unavailable for the game against Russia, but will be back in contention for the Netherlands tie. Julian Draxler has left the squad on compassionate leave. Mark Uth, who made his debut last month, has withdrawn from the squad having suffered an injury this past weekend, while star attacker Marco Reus did not train ahead of the game with a foot injury. Emre Can has also been left out of the squad with an injury. Germany are likely to set out in the 4-2-3-1 formation against the Russians on Thursday, shifting from the three-man backline that Low used against France last month. Arsenal goalkeeper Bernd Leno is in contention to start between the sticks, ahead of Manuel Neuer and Kevin Trapp. In Boateng’s absence, Antonio Rudiger should get the nod at the centre of the backline, alongside Niklas Sule, who is likely to pip his Bayern Munich teammate Mats Hummels for a starting berth. Versatile PSG defender Thilo Kehrer should feature at right-back, while Nico Schulz, who made his international debut in September, is in line to start at left-back. Sebastian Rudy should start as one of the two midfielders in the pivot for the hosts. He is likely to be partnered by Joshua Kimmich, who has extensively been used in the midfield by Low in recent fixtures. Thomas Muller is likely to feature from the get-go on the right flank, while his Bayern teammate Serge Gnabry could edge out Leroy Sane for a starting spot on the opposite wing. Leon Goretzka is set to slot in as the No. 10 for the Germans, with Timo Werner starting out as the lone striker. Stanislav Cherchesov will be without a number of regulars for the upcoming fixtures against Germany and Sweden, with Mario Fernandes, Denis Cheryshev, Aleksandr Golovin and Ilzat Akhmetov all missing out with injuries. Captain Artem Dzyuba is also ruled out for the Russians. Sergei Petrov, who was drafted into the squad as cover, also misses out due to a thigh problem, with Vladislav Ignatyev replacing him in the roster. There have been call-ups for two uncapped strikers in the form of Ari and 20-year-old Fyodor Chalov, who is the top scorer in the Russian Premier League this season. Russia will line up in a 4-3-3 formation against Germany, with Zenit St. Petersburg’s Andrey Lunev in line to start between the sticks. Ignatyev should walk into the team at right-back, with Fedor Kudryashov expected to continue on the left-side. Roman Neustadter and Georgiy Dzhikiya are likely to continue at the heart of the defence. In the absence of Dzyuba, Yuri Gazinskiy is set to don the captain’s armband for Russia. He should start as the deepest of the three central midfielders against Die Mannschaft. Support will be provided by the 25-year-old Daler Kuzyaev and Roman Zubnin, who is expected to make a swift recovery from a minor muscular problem. Aleksey Ionov could be moved out to the left flank for the Sbornaya, to make room for Anton Miranchuk on the right side of the attacking trident. Spearheading the attack for Cherchesov’s side in Leipzig will likely be debutant Chalov. Germany have never lost to Russia, having won five and drawn one of their six meetings to date. The last meeting between Russia and Germany was a 2010 World Cup qualifier in Moscow in October 2009, when Miroslav Klose netted the only goal of the game. Joachim Low’s side are in a poor run of form, having won just three of their last thirteen fixtures. Russia, on the other hand, have only lost two of their last nine matches, including the penalty shoot-out defeat to Croatia at the 2018 World Cup. Germany have kept only one clean sheet in their 11 matches across all competitions in 2018. Having returned from his loan with Hoffenheim in the summer, Gnabry missed the start of the season for Bayern with a thigh problem, but has worked his way into Niko Kovac’s team with some impressive showings in the wide areas. So far in the 2018-19 campaign, the 23-year-old has chipped in with one goal and two assists in ten Bundesliga appearances. 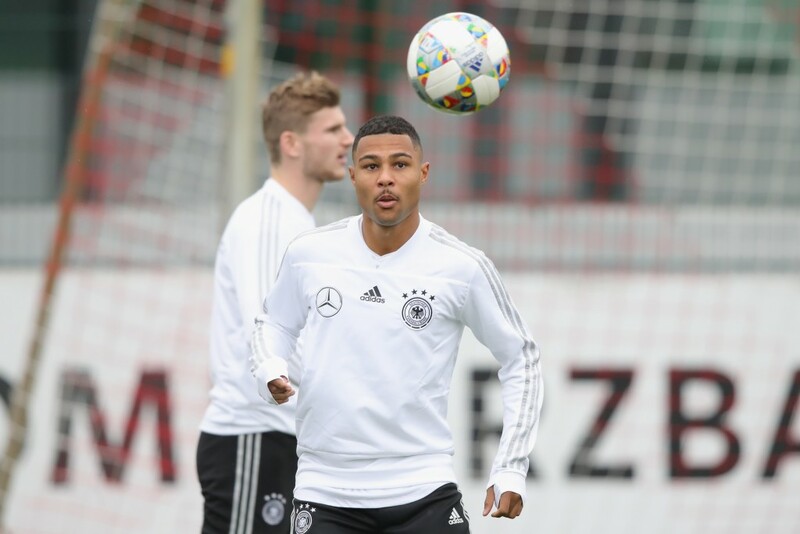 Gnabry made his return to the international scene last month against France, two years after he had last played for the German national team. The tricky winger endured a rather difficult outing upon his return, but has the quality to establish himself as a regular for Low’s side. Having failed to score a goal for Germany since his debut hat-trick against San Marino, the Bayern Munich starlet will be keen on making a mark on Thursday. From their dismal performance in the summer’s World Cup, to their hapless displays against France and Netherlands last month in the UEFA Nations League, it has been quite a difficult year for the German national team. Low’s men have looked short of confidence, but ahead of a huge game coming up next week, they are in need of a morale-boosting victory. Russia, in contrast, have looked impressive each time they have taken the field since the World Cup. However, they are not the most free-scoring team out there and without key personnel like Artem Dzyuba and Aleksandr Golovin, they are likely to be handicapped to some extent in Leipzig. Stansilav Cherchesov’s team are likely to set out to defend deeply and keep things tight at the back. Considering that they have conceded just twice in their last four outings, Germany will have to dig deep to find a way through. 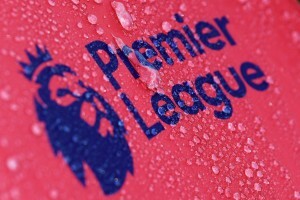 Thursday’s match does not promise many goals and we at The Hard Tackle predict the game to end in a tame 1-1 stalemate.